I'm excited to share my first holiday cookie of the season with you today! 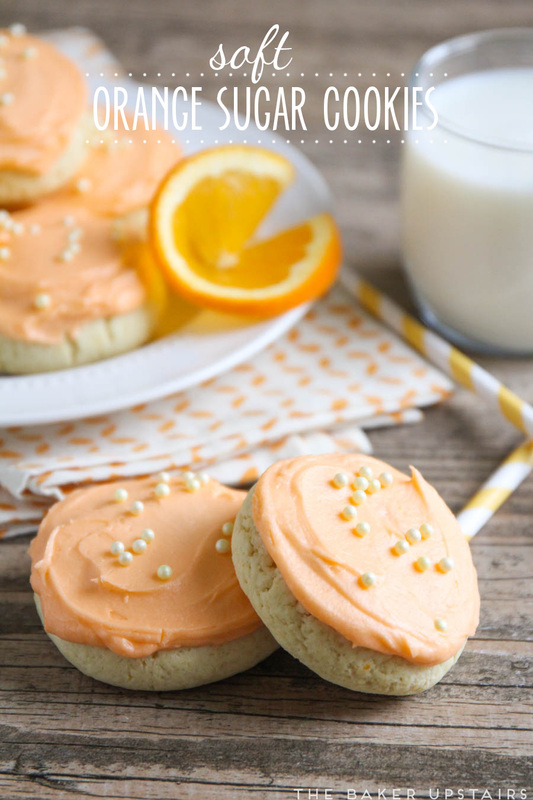 These soft orange sugar cookies are so delicious and flavorful, and perfect for sharing with friends and family this time of year. 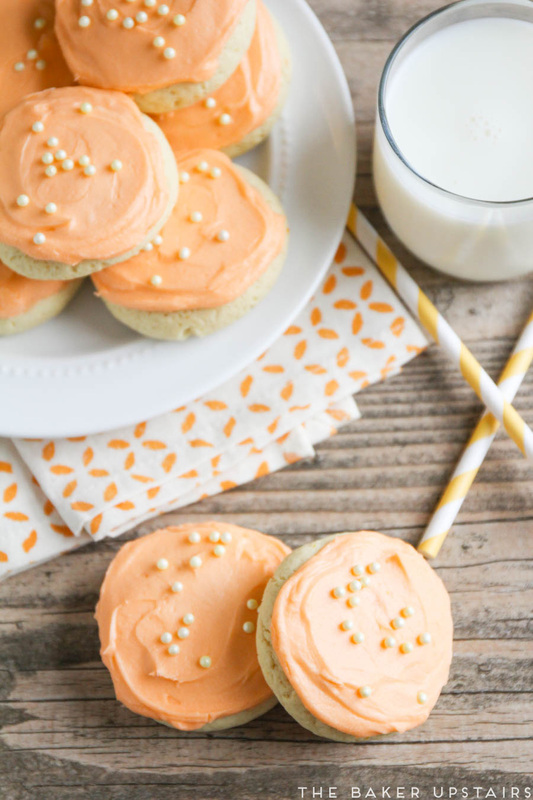 I've expressed my deep love for soft, thick sugar cookies before, and these orange sugar cookies are such a fun and sweet twist on one of my favorites! One of my favorite things to do with my girls is to bake cookies and treats, and they love sharing what we've baked with our friends and neighbors. 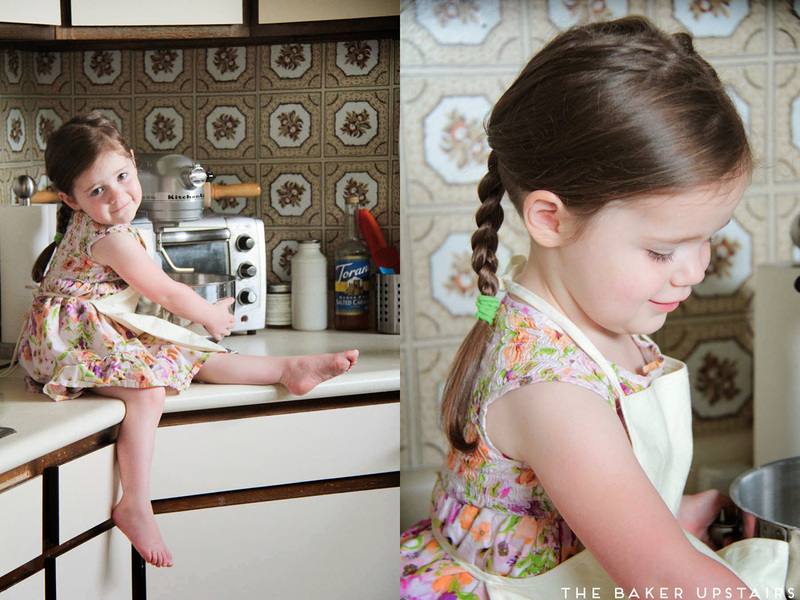 I love that when we bake together, they'll keep someone in mind that they would like to share a treat with, and if they know a friend is having a hard time they'll come to me and say, "Mommy, we should bake a treat for so-and-so!" Baking together has so many benefits... not only do we spend time together working on a constructive activity, but the girls are learning cooking techniques and becoming familiar with ingredients. I try to use the highest quality ingredients that I can afford for baking, and I absolutely love baking with Bob's Red Mill flours. It really is the best flour I have ever baked with! I used the unbleached white all-purpose organic flour for this recipe, and I love that it produces light, airy baked goods. It's not enriched with any additives and works great in any recipe! 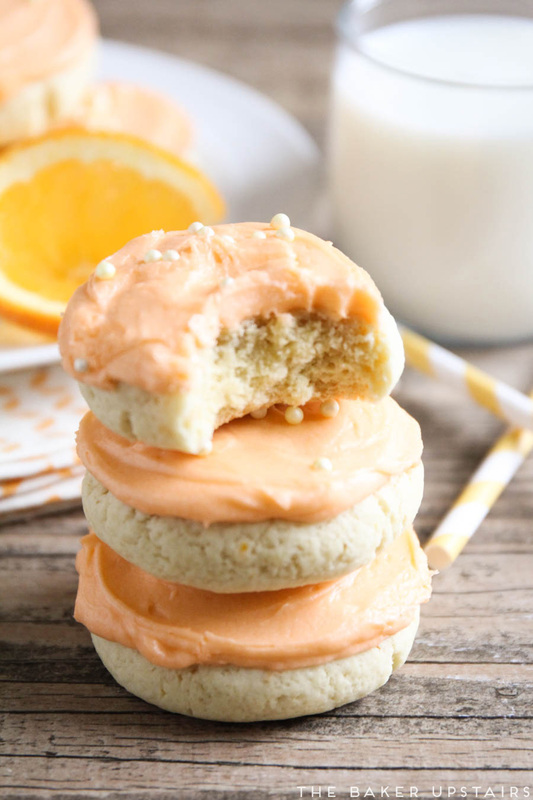 These cookies have a soft, thick cookie base that's lightly sweetened and flavored with orange zest, topped by a creamy, sweet layer of orange icing. They taste just like the sugar cookies you can buy at the grocery store, but even better because they're homemade! In a large bowl or the bowl of a stand mixer, rub the orange zest into the sugar using a spatula to release the oils. Beat together the butter and sugar until light and fluffy. Add the eggs one at a time, followed by the vanilla and orange extract, and mix well. Add the flour, baking powder, and salt, and mix until a firm dough forms. Chill 30 minutes. Preheat the oven to 400. Roll the dough into one inch balls and place on baking sheets lined with parchment or sprayed with cooking spray. Flatten each ball slightly with your hand or with a drinking glass to be about 1/3-1/2 inch thick. Bake 8-10 minutes or until the bottom edges are just slightly golden brown. Remove and let cool before frosting. To make the frosting, beat together the butter and powdered sugar. Add the orange extract and orange juice and beat until light and fluffy. Add the food coloring and beat until well distributed. Frost cookies as desired. 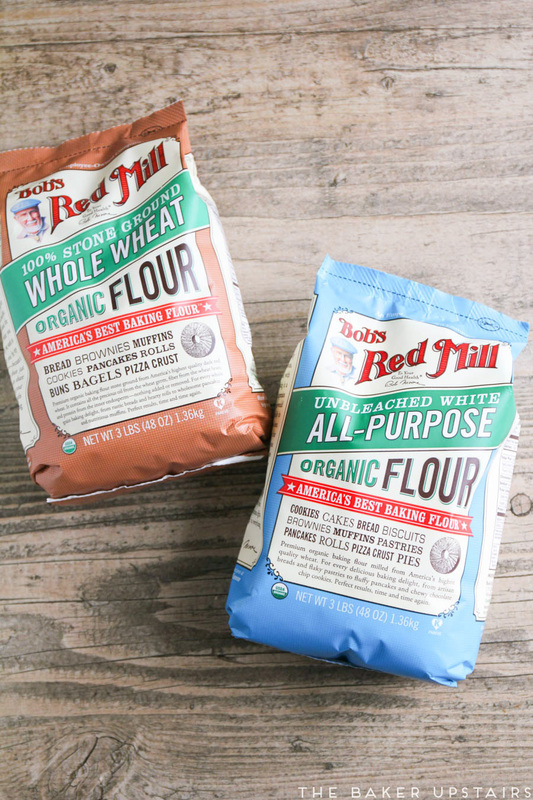 Click here for a coupon to save money on Bob's Red Mill flour, and happy baking!